Today morning when I woke up and just turned the WiFi on my iPhone 5C smartphone, I was happy to see Apple notifying me of iOS 9.3.1 update. Straightaway what I did is just grab the screenshot and share it you over here. Yes, the iOS 9.3.1 update is now officially available via Over the Air download. 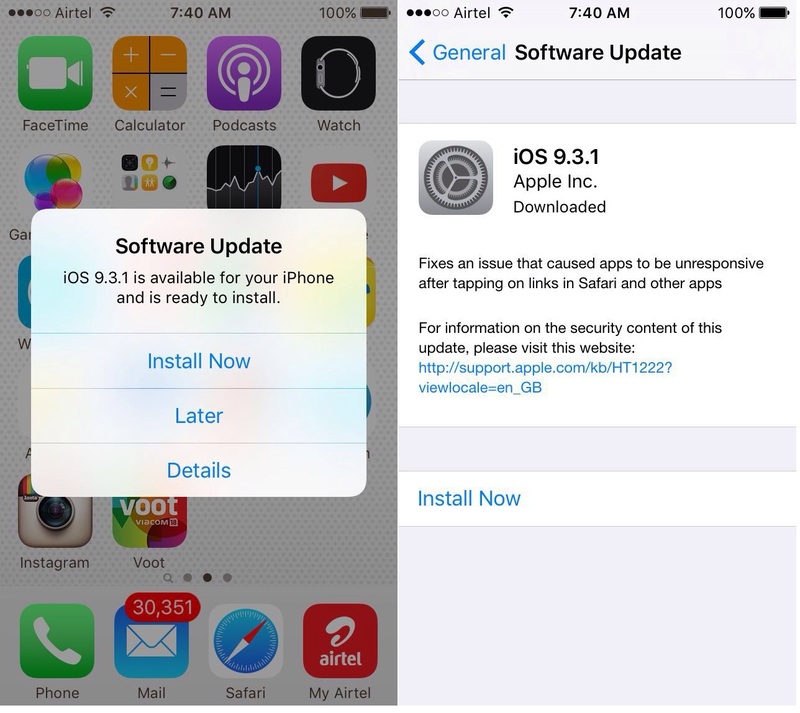 It primarily brings a major bug fix found on iOS 9.3 update which was released just two weeks back, i.e., Issue that caused apps to be unresponsive after tapping on links in Safari and other apps is now fixed.